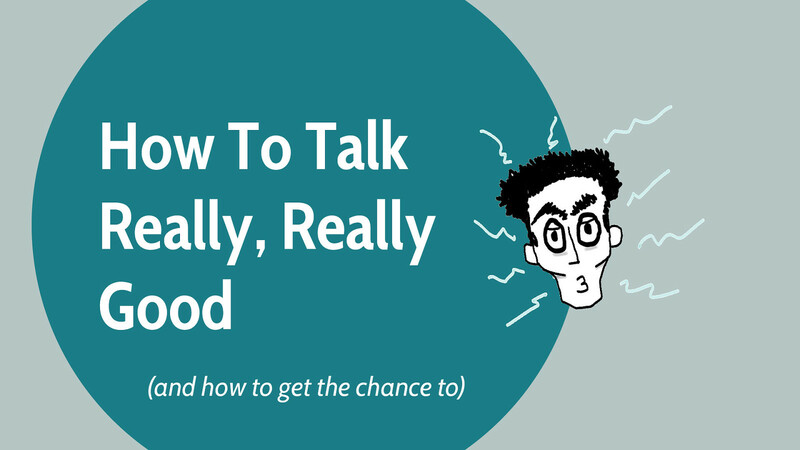 View How To Talk Really, Really Good on Notist. Our tech community is full of bright and interesting people, each with their unique experiences and points of view. Each and every person has something they can share that some of us would benefit from. You are one of these people. But how do you conquer that first step to submitting a talk, and what’s in it for you? Let us be your guides through the challenging lands of talk submissions. From picking a topic to structuring the talk summary that will inspire and blow minds and submitting it. Finally, we’ll talk through why you should even think about speaking - it’s a scary thing to do, is it worth it? What is plain English? No slang, acronyms, colloquialisms - this is a guide on how to write English in a way that should be universally understood to all English speakers. A blog on storytelling and flow. Watching @JessPWhite 's #WiTNotts talk about doing talks has got me writing ideas down. I thought I had no ideas, but turns out I just needed to think about it! Tonight I joined the lovely folks at @WiT_Notts hosted by @LittleHelli @MrsEmma and listened to @JessPWhite ...accompanied by my 14 year old daughter. We both loved it. We'll be back for more. Now this is what we call a full house!